What's the weather forecast for Bear Valley this week? Check out the long-range weather forecast for Bear Valley, including temperature, predicted snowfall and wind details at the summit and base throughout the day for the next week. Tab over to overview or Hour by Hour for alternative views of the Bear Valley weather forecast. 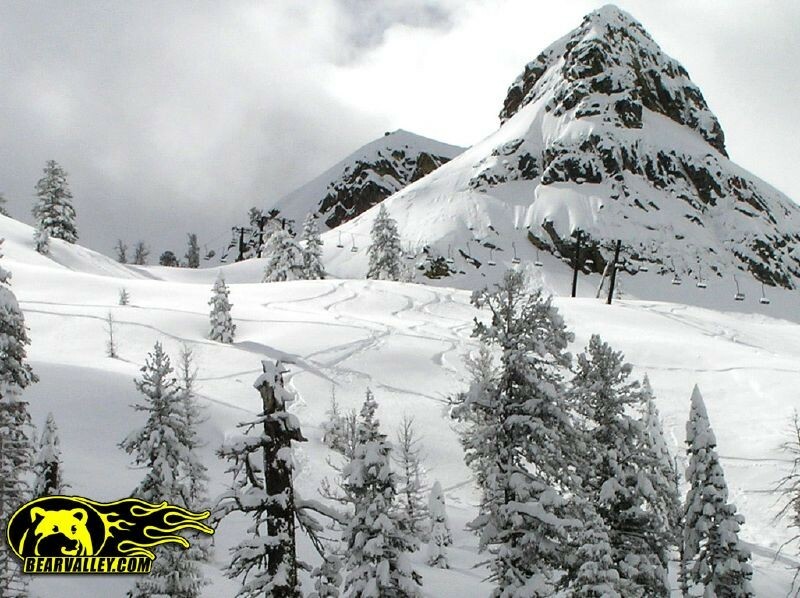 Get Snow Reports, Powder Alerts & Powder Forecasts from Bear Valley straight to your inbox! Great day of skiing at Bear. There is so much snow and great conditions. good conditions. groomed areas were nice and the powder was velvety and soft. pretty windy otherwise but still a great day. Mountain is in great condition. Bluebird day yesterday and still som stashes to be found. Lots of little kids around so stick to the trees! skied Supercub on December 27th. What snow was there was fine but it is super limited. Run took about 1 minute while the life line took 5 minutes. won't be going up again until some significant storms go through and they are able to fully open. Not worth it otherwise. 2 Feet of powder in places Saturday. A foot of powder Sunday. No lines. Great weekend! Lots of good snow! It's was a bit warm in morning but still snow! Many lifts are down. Lines are long. The snow is good, but what's the point if you can't take a lift up there? Skied Monday and Tuesday 1/2-3 foot of powder each day! Awesome skiing no lines! !